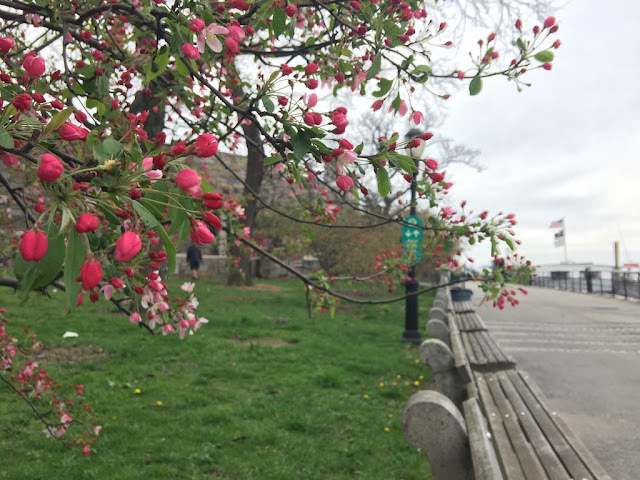 Lower Manhattan, with its tapered narrow geography between the two rivers spilling into New York Harbor, is not only a convenient area to walk but it's rich in public art. 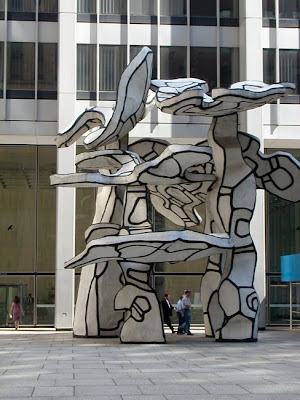 Be sure to include Jean Dubuffet's Group of Four Trees, 1969-72 (left), in front of the Chase Manhattan Bank Plaza off of Pine Street, the Louise Nevelson Plaza on Maiden Lane (below), and many of the works in Battery Park City. 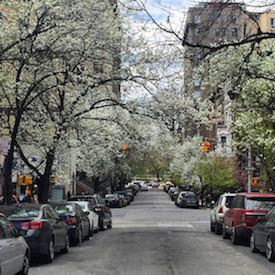 The latter area, under the guidance of the Battery Park City Authority, raised a new high standard in the 1980s with its commitment to incorporating public art into the new community. There, be sure to see Jim Dine's Ape and Cat (at the Dance) in Robert F. Wagner. Jr. Park, a blend of charm and danger, and South Cove, a great collaborative work of environmental design. Also welcome is the Downtown Alliance's public art program, Re:Construction, that invites artists to install artwork along the perimeter of sites that are either stalled or under construction. One work, Walking Men 99, is noted here, but look for more throughout downtown. What is not apparent, on the surface at least, are the various artworks underground in this area, part of the MTA's Arts for Transit program. Those mosaic eyes following you underground on the 1 stop at Chambers Street may be Oculus (1988) by Andrew Ginzel & Kristin Jones. Another famous work of public art can be seen from several places along the Battery - the Statue of Liberty. 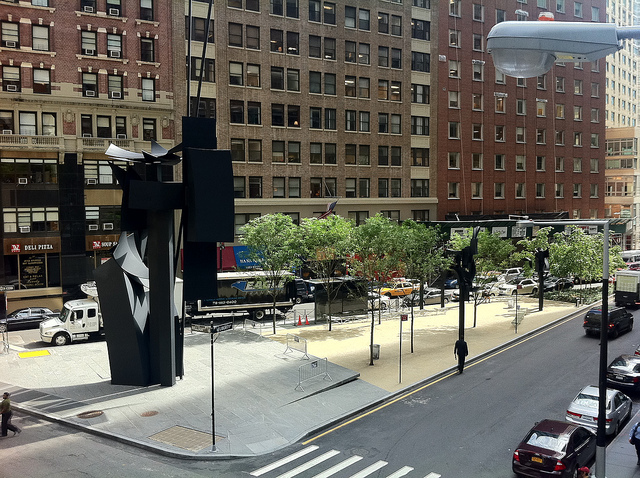 Jean Parker Phifer's book, Public Art New York (W. W. Norton & Co., 2009), gives an excellent overview of the artwork in the city, selecting highlights from thousands of public artworks. Images by Walking Off the Big Apple of Jean Dubuffet's Group of Four Trees, 1972, and The Red Cube, 1967, by Isamu Noguchi.